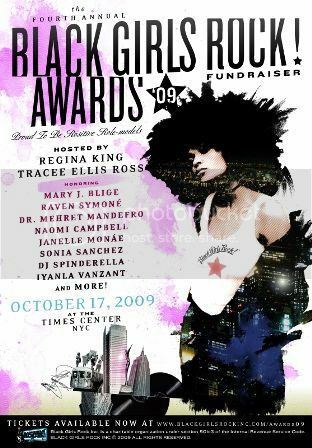 Acclaimed actresses Regina King and Tracee Ellis Ross will co-host this star-studded event to honor the achievements of outstanding women of color and raise funds for BLACK GIRLS ROCK! Inc.
October 6th, 2009, New York, NY - On Saturday, October 17, 2009 stars will gather at the illustrious Times Center in the heart of New York City for the 4th Annual BLACK GIRLS ROCK! Awards. The ceremony will be co-hosted by esteemed actresses Regina King and Tracee Ellis Ross alongside AMBI® Skincare, a scientifically proven skincare solution developed to meet the needs of women of color, while celebrating their strength and beauty - a brand committed to empowerment, education and providing women of color with skincare solutions for flawless, even toned skin. The show will honor the achievements of exceptional women of color in fashion, media, business, the arts and entertainment, and public service. 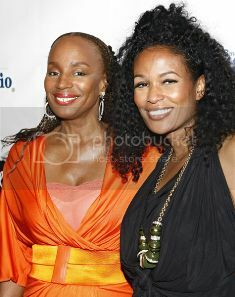 In photo is Susan L. Taylor with the founder of Black Girls Rock! DJ Beverly Bond at their Black Girls Rock! 2008 award fundraiser. Now in its fourth year, the BLACK GIRLS ROCK! 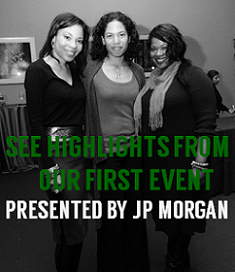 Awards show serves as the premiere fundraising event for BLACK GIRLS ROCK! Inc., a nonprofit youth empowerment mentoring organization founded by celebrity DJ, Beverly Bond. Grammy Award winner and founder of FFAWN, Mary J. Blige will be receiving the BLACK GIRLS ROCK! "Icon" Award. Singer, model and award winning actress Queen Latifah will be honored with the BLACK GIRLS ROCK! "Rock Star" Award. Trailblazer, entrepreneur, and actress Raven-Symoné will be taking home the BLACK GIRLS ROCK! "Young, Gifted, and Black" Award. Supermodel and fashion Icon, Naomi Campbell will be receiving the BLACK GIRLS ROCK! "Fashionista" Award. The BLACK GIRLS ROCK! "Who's Got Next" Award will go to urban-alternative singer, songwriter, Wondaland Arts Society/Atlantic recording artist Janelle Monáe. Award-winning poet, playwright and activist Dr. Sonia Sanchez will be receiving the BLACK GIRLS ROCK! "Living Legend" Award. The BLACK GIRLS ROCK! "Community Service" Award will be given to TruthAIDS founder, activist and White House Fellow, Dr. Mehret Mandefro. Inspirational speaker, author, and television personality Iyanla Vanzant will be taking home the BLACK GIRLS ROCK! "Shot Caller" Award. Additional honorees include world-renowned DJ and media personality DJ Spinderella, who will be receiving the BLACK GIRLS ROCK! "Jazzy Joyce DJ" Award and Grammy Award winner Anthony Hamilton, who will be receiving the only award given to a man, the BLACK GIRLS ROCK! "Soul Brother #1" Award. Other participants include: actress Kerry Washington, 2008 BGR! 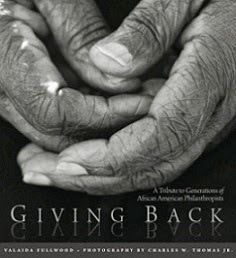 Award recipient Bethann Hardison, philanthropists Danny Simmons and Jessica Seinfeld, renowned visual artist Vic Muniz, multi-platinum producer Bryan-Michael Cox, acclaimed fashion designer Catherine Malandrino, and more. “I am proud that BLACK GIRLS ROCK! is at the forefront of a movement inspiring women of color to take charge of our images, our dignity, and our impact on the world," states Bond. "The annual BLACK GIRLS ROCK! Award show is our way of saying 'Thank You' to these stellar women whose exemplary achievements help to navigate future generations towards excellence." BLACK GIRLS ROCK! is undergoing a strategic shift towards national expansion, answering the call to service of President Barack Obama by mentoring, educating, and empowering young girls.